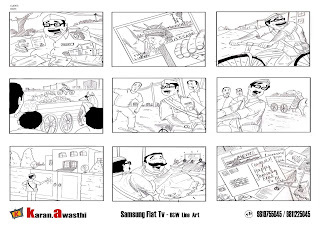 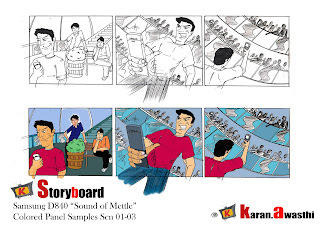 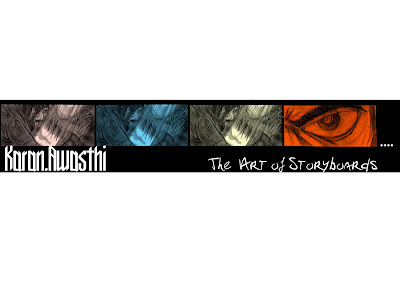 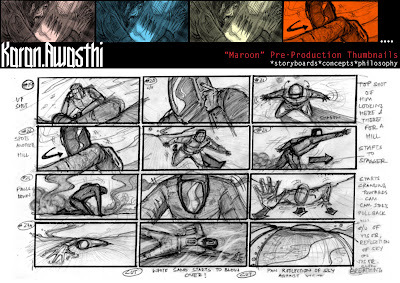 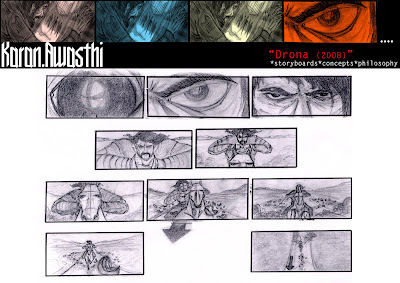 Portfolio ' 09 : " The Art Of Storyboards "
Since the last time this blog was created,for the sole purpose of showcasing my artwork,its been a year and a half since anything worth its value was uploaded here. 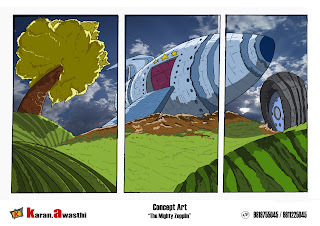 Condensing my own artwork and capsulizing it in a short and sweet "visual attack" is a task which makes me go on ego-trips and random mood swings, resulting in days and weeks where im stuck with the decision of what to show and what not to higlight. 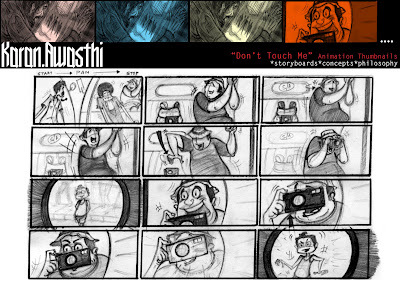 Portfolio's are meant to be filters of an artist's talent and skills, and often,an artist being his own harshest critic,dissuades and confuses himself,while playing the game of show and tell. 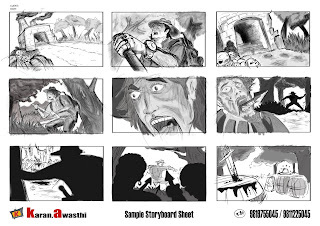 The past year,working within the realms of the indian visual effects industry, has been almost bloody awesome for me,both,in terms of learning and having fun. 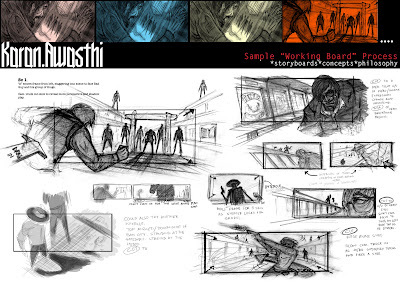 i have tried to showcase variety in the process and artwork as much as the projects could allow me to do. 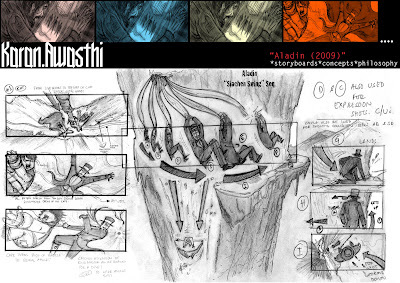 I humbly present to you..."The Art Of Storyboards". 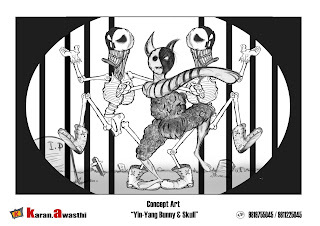 Swaagatam, Huan yin, Que onda ! 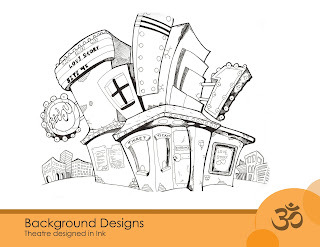 FreeInk welcomes u to its Graphic Corridors of Visual Delight. 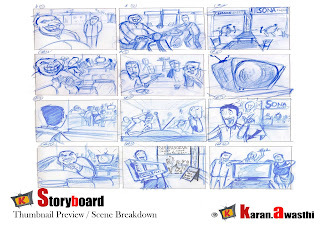 Extensively aware and respectful of tight deadlines, we have been catering to pre-production needs of various international and local clients, serving them with effective and quality artwork under challenging situations and limited time duration. 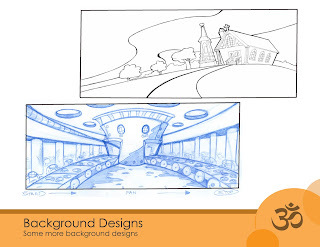 We offer a variety of styles catering to the different needs of the clients. 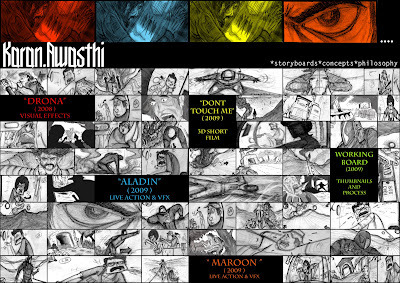 Our past and present work includes a gamut of projects from ad films,short films(live action),full length features to animation films. 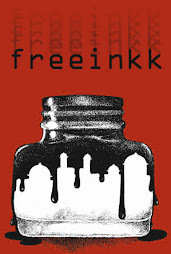 For the ever curious, FreeInk stands for Freelancers Inkorporated !